ZANESVILLE, Ohio – March 8, 2017 is International Women’s Brew Day and a few of Ohio’s Breweries joined together to celebrate. 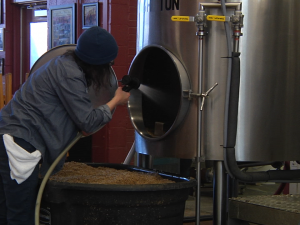 Weasel Boy Brewing Company welcomed women from Behind the Tap, Drink Up Columbus, Lineage Brewing, Ohio Craft Brewers Association, and Seventh Son Brewing Company to celebrate today by making a special beer to sell at their own breweries. 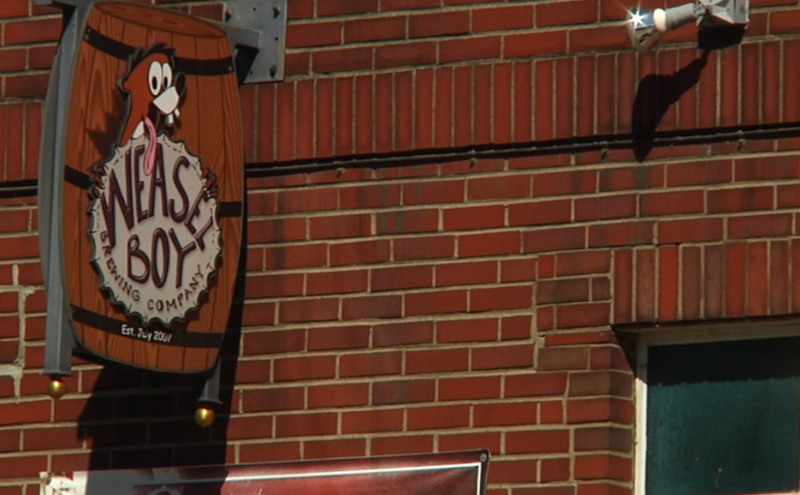 Co-Owner and Brewer at Weasel Boy, Lori Wince said they’re brewing a grisette, and the theme this year is ‘Unite Locals’. Wince said about six breweries took a part in the initial email thread to create the light Belgian-style blonde ale recipe. So the grisette will have the Belgian-styled yeast that will give the beer a Belgian spice. 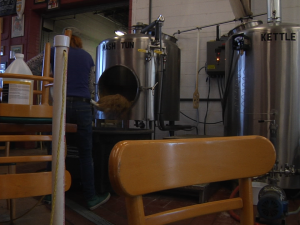 According to Wince International Women’s Brew Day was organized by the Pink Boots Society which is an organization that supports women in the brewing business. This was Weasel Boy’s second year to celebrate brewing on Women’s Brew Day. They first joined in the festivities last year when Lineage Brewing hosted the event. Because Wince had such a great time last year, she decided to host it this year. The breweries taking part in the event currently want to see a rotation each year on who host’s the Women’s Brew Day event for coming years. The following companies took part in the 2017 International Women’s Brew Day.